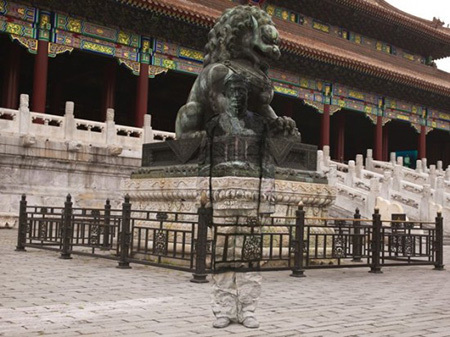 Liu Bolin, born in 1973, is an from China’s Shandong. He earned his Bachelor of Fine Arts from the Shandong College of Arts in 1995 and his Master of Fine Arts from the Central Academy of Fine Arts in Beijing in 2001. His work has been exhibited in museums around the world. 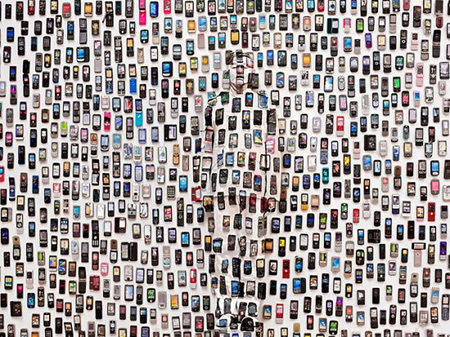 Also known as “The Invisible Man”, Liu Bolin’s most popular works are from his “Hiding in the City” series; photographic works that began as performance art in 2005. Continue reading for more.Liu belongs to the generation that came of age in the early 1990s, when China emerged from the rubble of the Cultural Revolution and was beginning to enjoy rapid economic growth and relative political stability.Since his first solo shows in Beijing in 1998, Liu Bolin’s work has received international recognition. Among other international venues, his distinctive photographs and sculptures have been shown at the major contemporary photography festival Les Rencontres d’Arles and he had solo shows at Dashanzi Art Zone in Beijing (2007), Galerie Bertin-Toublanc in Paris (2007), Eli Klein Fine Art in New York (2008), Boxart Gallery in Verona (2008), Forma Foundation for Photography in Milan (2010).To celebrate US President Obama’s visit to China, he made an effigy of Obama in his honor. He now lives and works in Beijing, China. 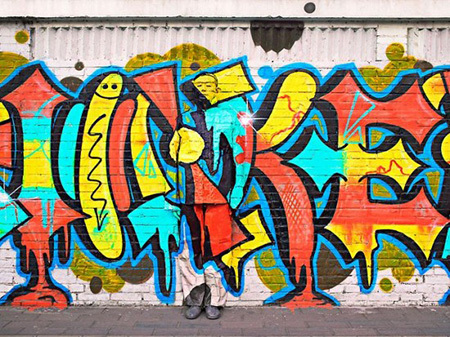 Liu Bolin is represented by Eli Klein Fine Art in New York, NY. 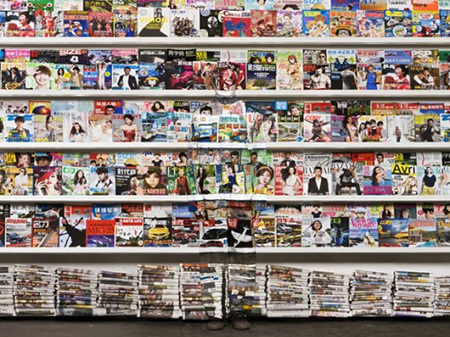 In June 2011, Liu Bolin created his Hiding in New York series, in which he incorporated iconic New York sites into his work.Liu Bolin was moved to create his “Hiding in the City” series after the Chinese government destroyed Beijing artist village Suo Jia Cun in November 2005. At the time of this destruction, Liu Bolin had been working in Suo Jia Cun, which had been previously named Asia’s largest congregation of artists. 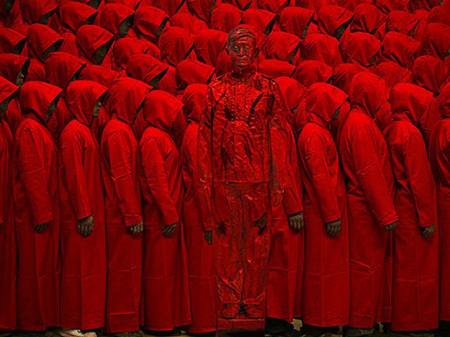 Prompted by his emotional response to the demolition of this site, Liu decided to use his art as a means of silent protest, calling attention to the lack of protection Chinese artists had received from their own government.The “Hiding in the City” series has inspired similar subsequent series by Liu Bolin. In particular, “Shadow” draws on the same concept of the helplessness of the individual; however, instead of taking the individual in the face of society as its focal point, “Shadow” explores the relationship of the individual to its natural environment. Rather than painting himself into the background of various man-made structures, as he did in “Hiding in the City”, here Liu lay on surfaces during periods of rain, keeping the space directly below his body dry. The flat human figure created by his presence always quickly disappeared when Liu moved away, demonstrating the extent to which humans are helpless before their environment.